back to the garden... flower power comes full circle: Tel Aviv Spiritual fest draws big crowd. 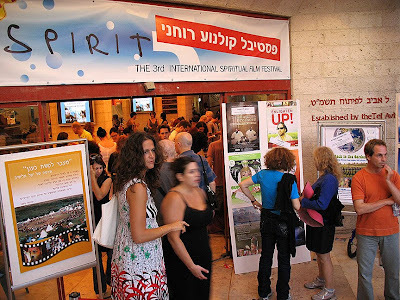 Tel Aviv Spiritual fest draws big crowd. 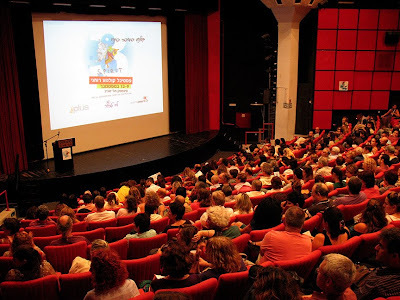 Opening Night 'Spirit' was in the house at the Beautiful Cineamatheque. 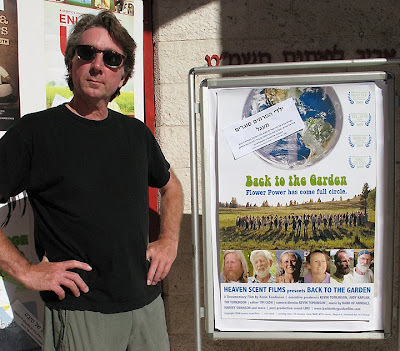 Spreading the gospel of 'the Garden' in the holy land. 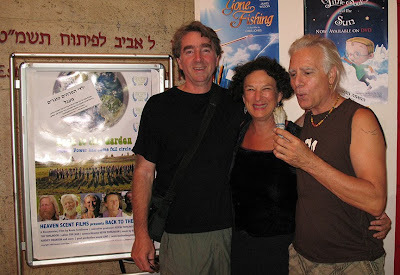 Official guests with festival founder/director and sage burning Spiritual shaman, Harsita Eshel. Lobby entrance...can you spot our poster? 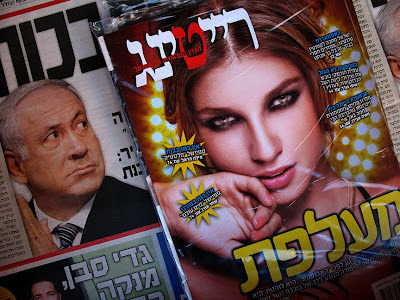 Tel Aviv news stand...Beauty and the Benny.